BOTOX® neurotoxin treatment helps control the symptoms of severe underarm sweating when topical medicines do not work well enough by temporarily blocking the chemical signals from the nerves that stimulate the sweat glands. 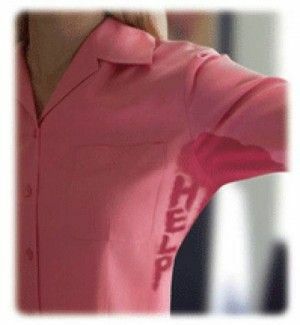 When the sweat glands don’t receive chemical signals, the severe sweating stops. BOTOX® injections are expected to temporarily stop the production of excessive sweat in the treated areas only. Sweat continues to be produced elsewhere. A favorite treatment for years by stars in Hollywood (and here on the Strip in Las Vegas), this swanky "secret" can be yours in a matter of minutes here at Dr. Roth's! Where does the sweat go? Your sweat doesn't go anywhere or get backed up because the sweat simply is not produced in the areas treated with BOTOX®. Remember, the rest of your body is free to produce moisture normally. Thank you for the incredible care!